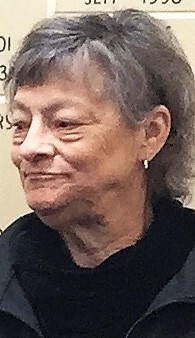 Carroll D. Duer, age 73, of Waterford & Oshkosh WI; passed away Saturday January 26th, 2019 surrounded by her beloved family. Carroll was born November 24th, 1945 in Manitowoc, WI. She married Ernie “Doc” Duer in Waupun, WI. He preceded her in death on November 8th, 1986. Carroll was an avid Packer fan and she truly enjoyed watching and cheering on her grandson’s sports and activities. Carroll is survived by daughters Shari (Dan) McCormick of Waterford, WI and Karin (Kevin) Nieubuurt of Waupaca, WI. Beloved grandsons; Derrick Nourse of Oshkosh; Jonathan, Matthew, and Jack Ryan McCormick of Waterford, WI. Stepchildren include Doug Duer, Debbie Opperman, and Tammy Duer. She is further survived by her sister Terry (Paul) Pineault and nieces Amber and Brandi of High Point, NC and several cousins in Richmond, VA.
A celebration of Carroll’s life will be held February 9th, 2019 at The Howard (405 Washington Avenue Oshkosh,WI 54901). A memorial service will be at 1:00pm followed by a 2:00pm to 4:00pm celebration luncheon.Please RSVP for the luncheon to smccormick9@hotmail.com by Wednesday February 6th. Carroll will be laid to rest at a later date at Cattaragus Cemetery in Waupun, WI. Memorials are suggested to the Aurora Cancer Care Facility in Burlington, WI. You may also donate by phone 1-877-460-8733. to the Vince Lombardi Clinic.